This INOX stainless steel rope adds a level of sophistication to any staircase, balcony, or other home or office location where a stainless steel railing system is needed as a safety measure or simply for better aesthetics. This 328-foot spool of steel wiring offers plenty of rope to work with for railing systems of almost any length brought to you by Indital. The external diameter of the steel rope is 5/32" making it a sturdy yet elegant addition to the railing system. When installing the steel rope into your stainless steel handrail system for stairs or balconies, ensure that you or your contractor are using all of the appropriate components for the utmost safety and to prevent any hazards after construction. Sold by the foot. Stainless Steel Terminal Support for Tube 1 2/3" Dia., Wire Rope 5/32" / 13/64" / 15/64" Dia. Wire Rope 4MM, 5/32" Dia. 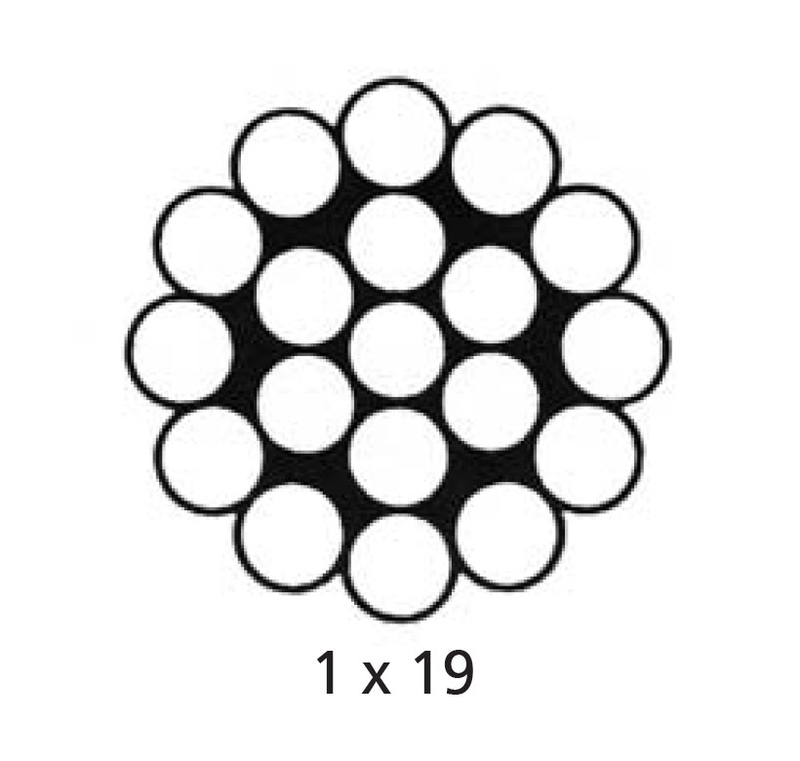 Stainless Steel Threaded fork Stud M6 (Left) Wire Rope 6MM, 15/64" Dia. Wire Rope 5MM, 13/64" Dia. Stainless Steel Stopper for Wire Rope 13/64" to 15/64" Wire Rope 5MM, 13/64" Dia. Stainless Steel Threaded Terminal (Right) for Rope 15/64" Dia.